A Melbourne based catering company creating sensational tasty experiences for people all over Victoria. Founded in 2010, Going Gourmet has grown from a small team with one passionate chef, to a team of seventeen devoted chefs and many other hospitality professionals, including event managers. “It’s all in our slogan – Catering by Chefs for people with taste buds” says Glenn Coleman, the founder and Managing Director of Going Gourmet. What does Glenn mean? Well I’m sure you have had catering before where it’s just frozen and thawed deep-fried items like spring rolls and wontons… Knowing that Melbourne’s clientele was over this sort of food, Glenn created a new fresh product offering that disrupted the catering industry. The new product offering included 50+ custom designed canapes and we, as a company and our clients accredit Going Gourmet’s success to this approach many years on. Since focusing the business on unique cocktail experiences, Going Gourmet spread its wings and now offers all styles of catering, including gourmet feasting, BBQ’s, sit-down meals and buffets. We pride ourselves on freshly made, tasty recipes, using local ingredients and understand that every event is unique, and special to each person who is organising it and that’s why we work so closely with you from start to finish. Our Event Staff are here to answer all your questions and point you in the right direction for all aspects of your function. With plenty of industry knowledge and hands on experience, our team will walk you through all the steps and bring to light things you would never have thought of! Now with a complete range of hire equipment to complement our catering services, Going Gourmet really can be the one stop shop for easy event planning and execution. Our kitchens are operating 7 days a week to ensure that fresh food is prepared and ready to go for our clients every single day. Our office operates Monday to Friday where our Events team work nonstop organising events, catering deliveries, creating menu’s and conducting menu tastings with potential clients. Our team of 72 have a vast variety of skills and culinary experience who consistently deliver food that exceeds your expectations. Our team comes from all walks of life and their collective knowledge and experience allows us to provide the best service and attention to detail on your special day. We are backed up by quality resources, with commercial kitchens across 2 industrial factories, a fleet of 11 catering vans and local suppliers throughout Melbourne. Many of Going Gourmet’s chefs have bragging rights of working in Michelin Star restaurants from Melbourne to London and back. 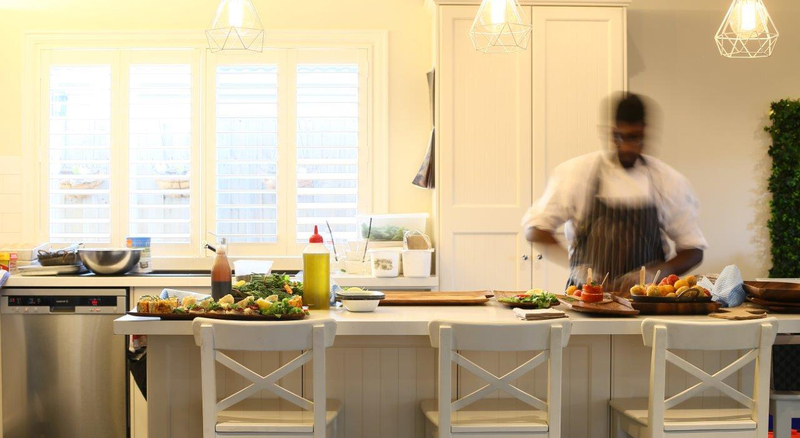 These same chefs are in the kitchen during the week preparing sensational food for your event and most of our 500 events per year require one or more chefs at the function itself. Our Mission is to be known as the brand of choice for gourmet catering, to deliver the ultimate experience no matter what or where. • Brilliance – we provide a quality service at all levels, including customer service. • Professionalism – we provide expertise on projects to clients, and internally we show dedication to our roles, with clear attention to detail, and take care to produce a quality product, we are accountable in what we do. • Value – we provide value to our clients, through our inclusions and extras and quality of presentation. • Trustworthy – we are reliable, honest and transparent. • Efficient – We are proactive rather than reactive. With our diverse background, our team can cater for Weddings of 200+ guests down to intimate backyard get together’ s of 30 and even special intimate packages for private functions with less than 30 guests. We have found ourselves catering in a range of venues and locations from country side paddocks, refurbished wool sheds up to high rise apartments! Across the years we have catered for large scale events such as the Australian Open and have secured our position in catering for all events held at the iconic Luna Park. We service Her Majesty’s Theatre in Melbourne, Candela Nuevo, St Anne’s Winery in Myriong, Toorongoo River Chalets and own and operate the beautiful wedding venue Baxter Barn, located on the Mornington Peninsula. Working in such diverse locations and catering to a different clientele at every event has taught our team to be flexible, open and excited about every new situation that is presented to us and how to tailor our service to each special occasion. 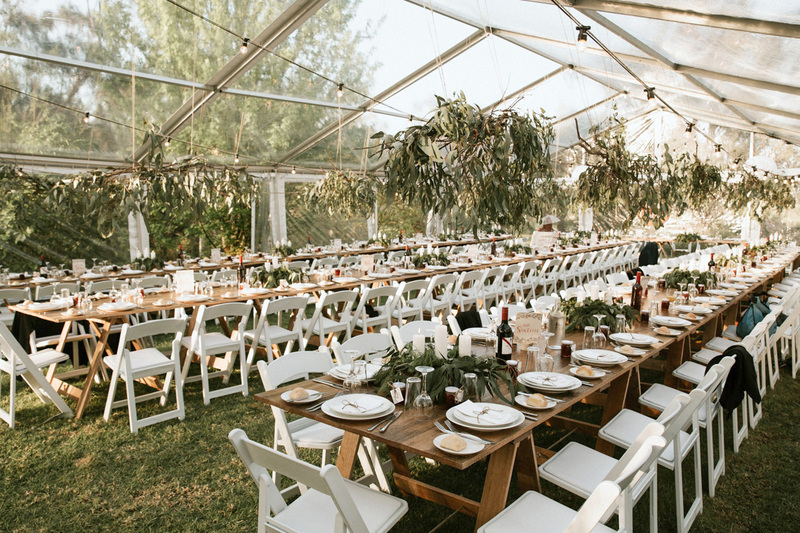 Due to the diverse clientele and range of needs from Melbourne’s catering market, the passionate team behind Going Gourmet also operate two other catering brands under the one roof, as well as a venue on the Mornington Peninsula, called Baxter Barn. Instant Catering is a “order online” e-commerce concept, whereas Tiger Finger Foods focuses on canapes only. Both of these brands offer simpler drop-off delivery style catering services with optional “heat & serve” staff, whereas Going Gourmet is our premium catering service where we come to your event fully equipped with chefs, wait staff and (optional) bar staff. We are proud of our vast range of gluten free options and we are ever expanding our vegan and vegetarian menus. Taste is what separates us from the rest and we challenge our chefs to make sure we are ahead of the rest, by pushing them to constantly create new dishes to entice our clients. Our largest investment this year has been in the event/party hire services. We are trying to close the gap for you and make your event planning faster and easier by offering a range of equipment for hire. We will be at your event anyway, right? Take a look at a list of items we have for hire and we can also source and hire equipment upon request. Venue acquisition is a key focal point for our management team. We look for wineries and venues who don’t want to employee their own chefs and run a full-time kitchen. We solve all their catering problems by offering a range of unique menus to offer to their client’s as well as solving food and staff sourcing matters. You can view some of these venue’s here and pleas get in touch if you have a property or venue and want to start a new venture or improve an existing venture. Once you have called or submitted your enquiry with us, we can then discuss your event date(s), possible menu options, serving timing, event hire services and any other essentials. Once we have enough information and you have chosen your exciting menu(s), we’ll formalise a quote for your approval based on your estimated guests. We focus on making this process fast, easy and fun for you, as we understand catering is one (crucial) part of an event. If you are planning your wedding, we also invite you into our HQ in Clayton South to join us in a food tasting and event planning session. Looking forward to working with you planning and executing your sensational tasty experience!